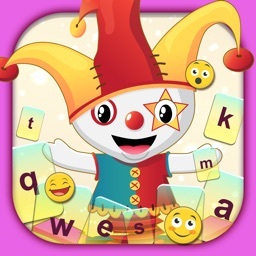 Avatar Keyboard is your personalized keyboard that makes funny Avatar emojis. 【Avatar emojis】Wanna express your love more passionately? Are words not strong enough to show your anger? Need more facial expressions in a boring chat? 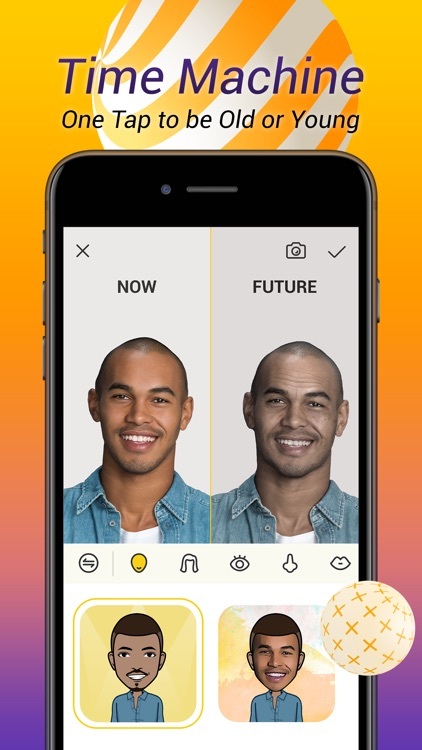 Avatar Keyboard helps convey all your emotions with unique & funny Avatar emojis.First, create an Avatar of you by easily taking a selfie or choosing a photo of yourself from gallery. 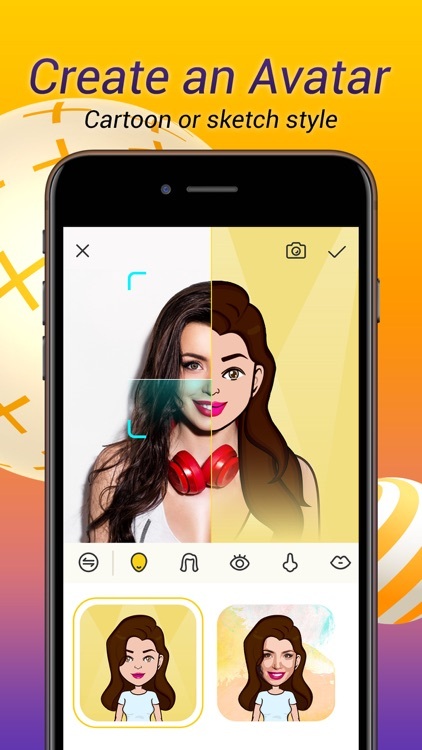 Second, to make a better "MeMoji", you can choose your Avatar in either editable cartoon style or realistic sketch style. 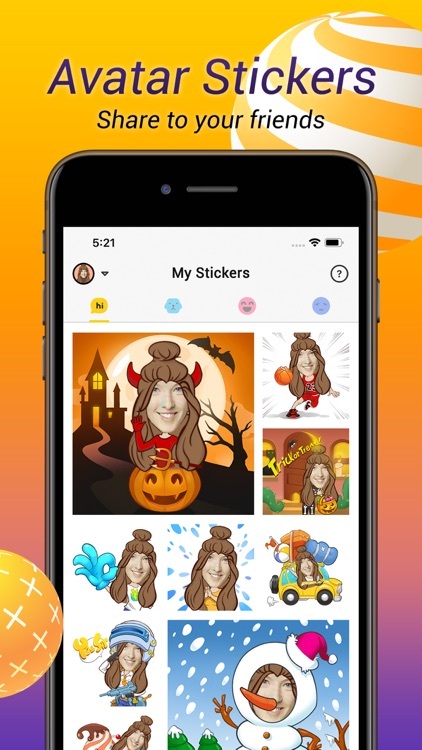 After that, you will have hundreds of Avatar emojis in Avatar Keyboard that let you show various emotions in chats with more fun. " 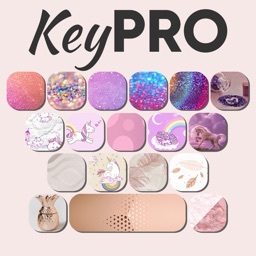 【Customize keyboard】With a hug library of keyboard elements, you can also make your own keyboard with background, key shape, key fonts, key color, key sound, 3D effects etc. The element library will be constantly updated. It's time to show your talent for keyboard designing. 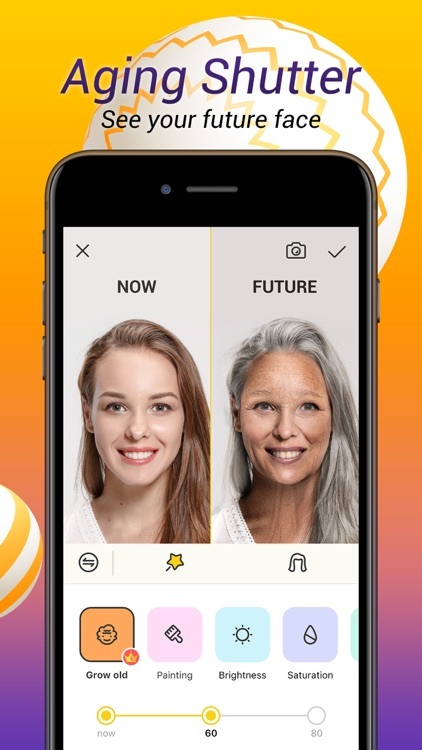 【Aging Shutter】Lets you see yourself in 60 years old or even 80 years old, and instantly takes you through time and space with professional facial analysis. 【Avatar emojis of friends】Isn't it fun to use your friends' and idols' Avatar emojis in the conversations? Not just you, anyone can also be your Avatar emojis! Try to create Avatars for your boyfriend, girlfriend and your famlies with their photos. Of course,all your Avatar emojis can be shared to iMessage, Facebook, Twitter, Snapchat etc. 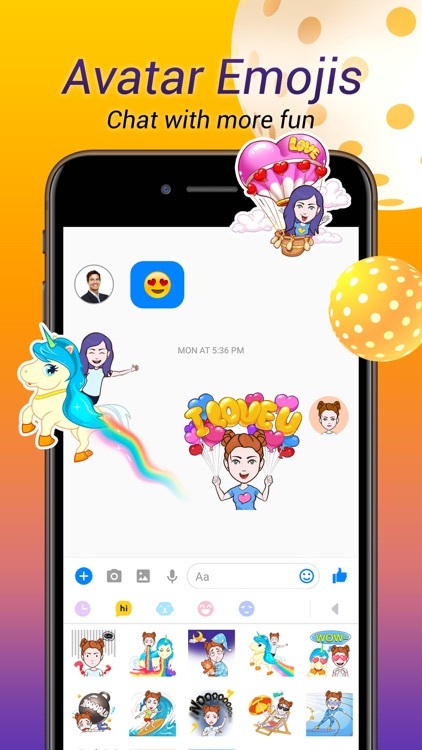 Here is great news that multi-Avatar emojis are coming soon enough that you can make Avatar emojis of you and your beloved ones together. Please stay tuned! 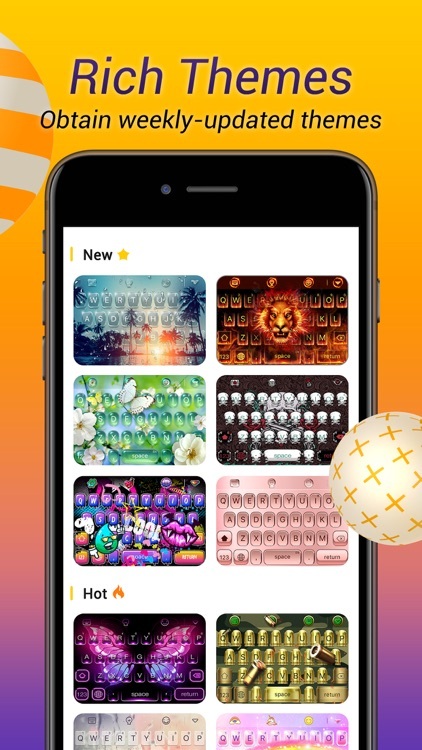 【Weekly-updated themes】Avatar Keyboard offers new themes every week in its theme library. 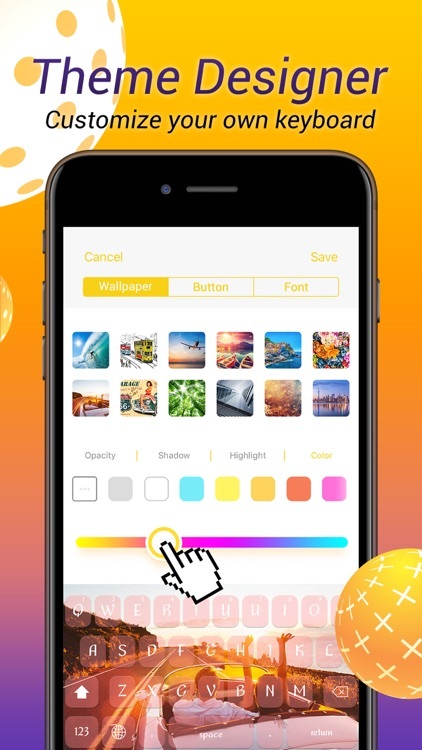 No matter if you are a fan of cool themes, cute themes, landscape themes, romantic themes or colorful themes, you'll definitely find a satisfying theme in the library. 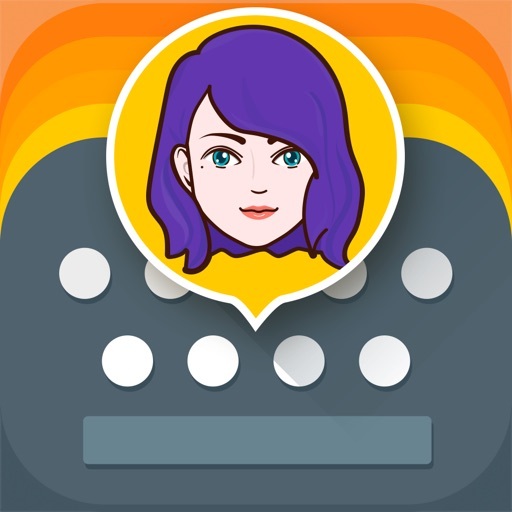 【Privacy & Security】Avatar Keyboard will NEVER collect your personal information! Subscription Terms: Subscriptions automatically renew unless auto-renew is turned off at least 24-hours before the end of the current period(Free trial for 3 days,automatic renewal after 3 days). Payment will be charged to iTunes Account at confirmation of purchase. It is an auto-renewing subscription. One week subscription. One month subscription. One year subscription. Subscription prices may be vary from country to country depend on the price matrix. 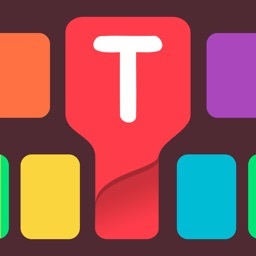 We offer you all the fancy current and weekly-updated themes and emojis. Account will be charged for renewal within 24-hours prior to the end of the current period, and identify the cost of the renewal. Subscriptions may be managed by the user and auto-renewal may be turned off by going to the user's Account Settings after purchase. No cancellation of the current subscription is allowed during active subscription period. Any unused portion of a free trial period will be forfeited when the user purchases a subscription to that publication.